There’s never a bad time for cookies, honestly. Who doesn’t like cookies? If there is a person that doesn’t like cookies, I don’t need to know if they exist because I don’t need that kind of negativity in my life and neither do you. In 2018, there is still the perception that gluten-free foods taste like cardboard. If you’ve been following this blog, you know that’s simply not true. That’s coming from someone who can eat gluten. As with anything, there are foods that taste like trash. We’ve taste tested some treats for you and will now share them with you. You’re welcome. Unlike the Fake News Awards, this is an actual list of cookies that are GFS-approved. As always, this list is gluten-, soy-, and dairy-free. These cookies are also grain-free, corn-free, and free of gums/emulsifiers. It’s also Non-GMO Project Verified. If you’re looking for a cookie that’s paleo-friendly, you’re in luck. FYI: Simple Mills has updated their packaging since this photo was taken. These are Nikki’s favorite cookies. These cookies are soft, chewy morsels of yummy. Along with being Top 8 allergen-free, you won’t find sulfites, lupin, mustard, sesame, casein, and crustacean ingredients. FYI: Enjoy Life has since changed their packaging. You will frequently find this in the cabinet. 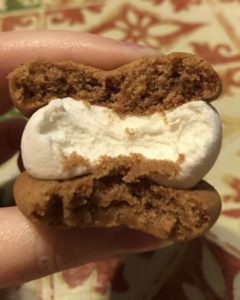 Pro Tip: Make a delicious cookie sandwich by adding a marshmallow between two Snickerdoodles. You’ll thank me later. It’s as good as it looks. But, don’t take our word for it. Alternative Baking Company makes gourmet vegan alternatives. 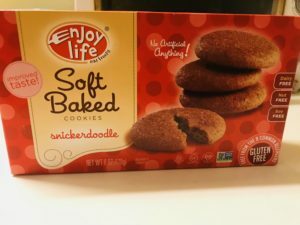 They contain no trans fat, cholesterol, hydrogenated oils, refined sugar, animal or artificial ingredients. Of course there has to be a pumpkin cookie for everyone. This cookie is by the same brand as above. This is an accurate cookie name. “Nana” is actually Miriam Diamond. She set out to make a chewy, moist cookie in 1992. The cookies are sweetened with natural fruit juice instead of refined sugar. The Gluten-Free line is free of eggs, casein, and corn. 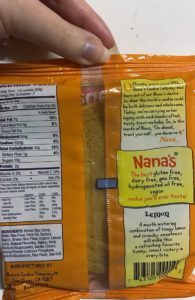 Nana’s Gluten-Free cookies are also certified by the Gluten Intolerance Group. These cookies are free of the Top 8 allergens. They are also sulfite-free, lupin-free, casein-free, crustacean-free, sesame-free, and mustard-free. They are also Non-GMO Project Verified. FYI: Enjoy Life also changed their packaging. This was Nikki’s least favorite of the cookies. Nikki didn’t like the flavor. This is more like a beginner’s guide as it’ll be updated with more brands and flavors as our research (it is SO research) continues. If you enjoyed this guide, you might also like guides to yogurt alternatives and Halloween candy. 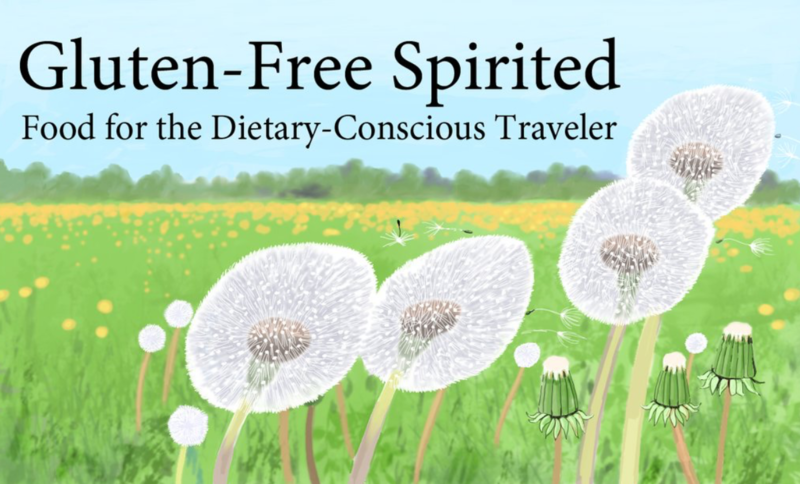 If you sign up for my mailing list, you will receive a FREE Beginners Guide to Dietary Restriction Friendly Essentials. A GFS promise: no spam. Ever. 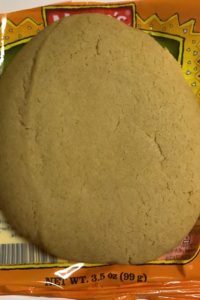 Alternatively, if you’d like to make your own cookies, try this recipe for snickerdoodle cookies. Sharing is caring. Don’t be a stranger and get social with GFS. 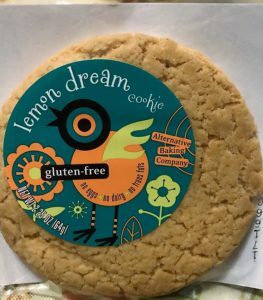 These all look great but the alternative baking company cookies catch my eye, both the lemon and pumpkin ones sound delicious!! My sister really liked them. It’s nice to find cookies that are kind of out of the ordinary and aren’t your typical chocolate chip or sugar cookie. 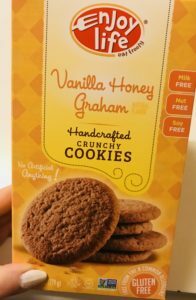 Omg would love to try those graham cookies. 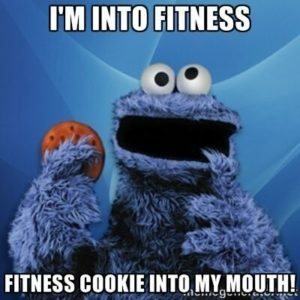 And those lemon cookies too! Citrusy cookies that are gluten free are REALLY HARD to find in Malaysia! My sister is a fan of the lemon cookies. I hope you can find some! We love cookies in outr hour, and these are some great gluten free versions. 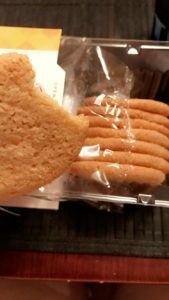 My kids really enjoy the soft baked ones the most thought, they are usual cookies we get. We’ve definitely had some that do taste like cardboard. LOL We want to spread the word about the good ones we find and help people avoid eating the gross kinds. LOL In some cases, you can tell that they are different, but don’t taste bad. In others, you can’t even tell the difference. I don’t think that I have ever tasted gluten free cookies and I have no idea how they taste. I would have imagined that they are not that great. It’s good to know though that there are so many brands out there that have delicious treats that everyone can eat. That’s the assumption about many gluten-free foods. There are some out there that do not taste good at all. We’ve found more good food than crap food, so I try to share that info as much possible! Going to have to bookmark this blog!! I love me some cookies but gluten isn’t my best friend. Thanks for sharing!! I’m glad you find my blog helpful, Stevie! 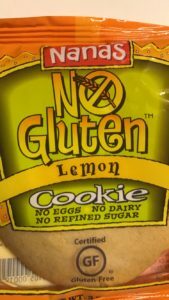 This is amazing that there are so many brands offering gluten free & other allergen-free cookies! I mean who doesn’t love cookies?? 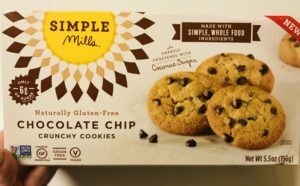 I’m going to check out Simple Mills Chocolate Chip Cookies. 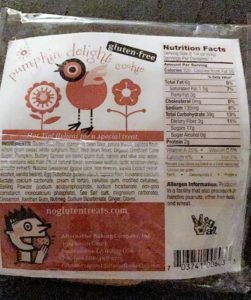 I am a sucker for chocolate chip cookies and I love that these are non-gmo! Simple Mills have all kinds of good food, especially the cookies! I will definitely be trying that out! You are exactly right there is never a bad time for having a cookie or two. Thanks for sharing. I have dietary restrictions (by choice) and it is so great to see how it’s possible for one to eat great food no matter where they are. These cookies look delicious and no taste compromised. These cookies look DELICIOUS – although I am trying to stay away from sugar as much as possible. It can be hard because it’s so tempting! 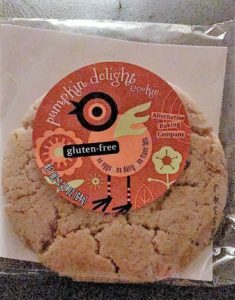 This gluten pumpkin delight and Lemon cookies looks delightful. I really want to try that. Yummy!! I really love cookies and I have tried so many kinds of cookies but these look great! I couldn’t resist trying! Angela, I know what you mean! They’re too tempting! Lemon cookies are my favorite and these look so delicious. I would love to try these. Wow! There are so many great choices! 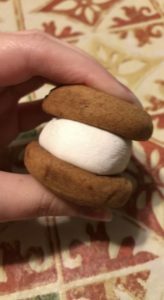 I love what you did with the marshmallow and the snickerdoodles. I need to share this article with my friend who can’t eat gluten. He needs to see this! I really love cookies and your article about some gluten free cookies are going to be really helpful for me. If I get the chance to enjoy my favourite sweet food without being tensed for its bad impact then nothing can make me happier than this..